About a thousand pictures to tell a story about a long lunch at Stefano Manfredi's restaurant in the Central Coast national park, Manfredi at Bells. The chef celebrates 30 years of service to the Australian food industry this November, and to mark these three decades we joined him in the gardens at Bells at Killcare where the restaurant is based. The garden has a huge influence on the food the chef serves, and he grows his own beans, tomatoes, arugula (rocket), silverbeet, chard, sorrel, onions and potatoes, and so much more. 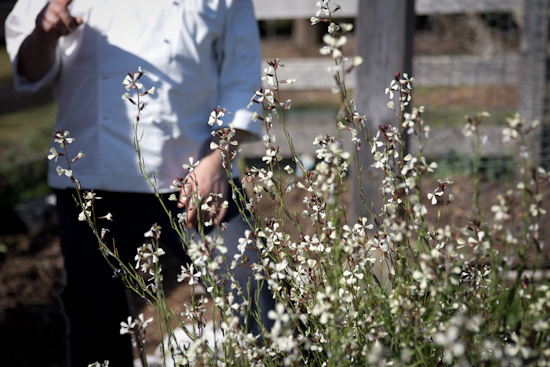 The garden spans about 500 square meters and supplies the restaurant with more than 15 % of the produce on its menu. 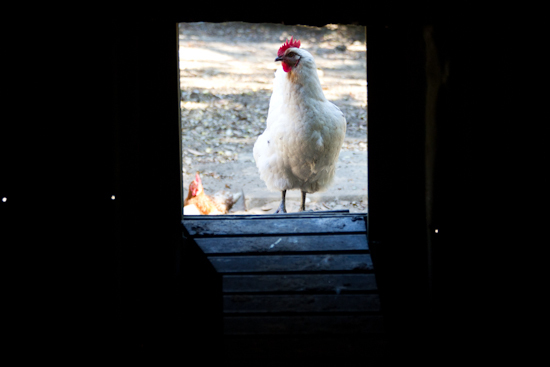 we visited the 50 free range hens, which supply fresh eggs to the restaurant. Visitors to the restaurant can wander into the gardens and see the produce while they wait for their meal. Stefano talked us through the more usual vegetables, handing over leaves of sorrel or arugula to taste. Bells is only 90 minutes from Sydney so a day trip is totally doable, but we stayed over in one of the gorgeous navy houses. The rooms are immaculately fitted out in blues and whites, pillowing quilts and linen sofas. Our suite had an adjoining living room and full kitchen (with full fridge! ), it was spacious and cosy at once. I loved the gas fireplace and even though it was technically the first day of spring, we drank our Champagne fireside. Newspapers, poached eggs and a strong flat white in the morning, before an easy drive back home. 107 The Scenic Road, Killcare Heights NSW 2257 phone. (02) 4349 7000‎‎ email.